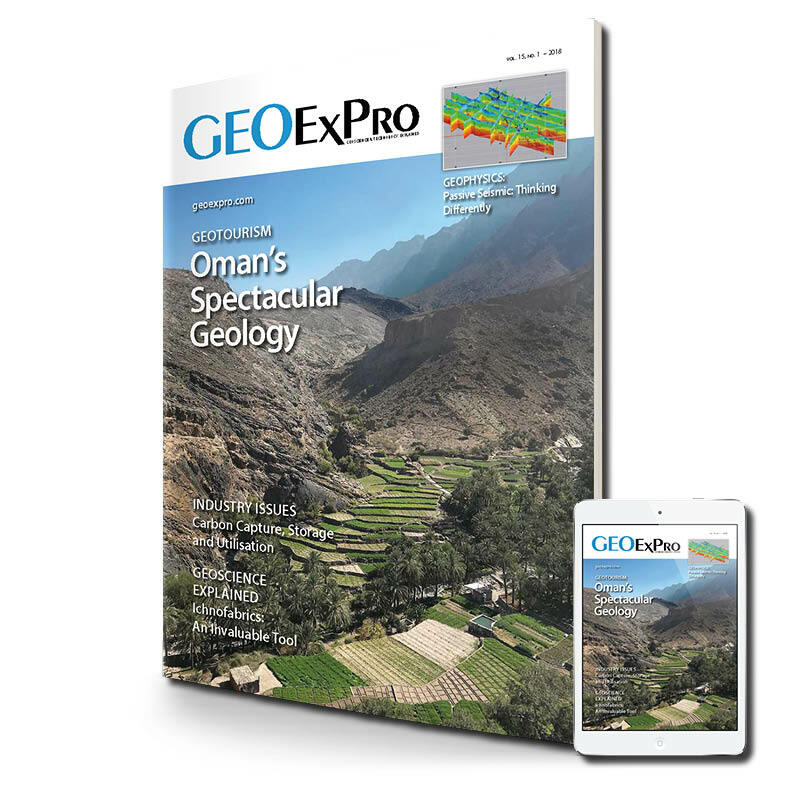 This edition of GEO ExPro focuses on the Middle East, Land Seismic and Carbon Capture and Storage. 56 Industry Issues: Can Oil and Gas Save CCS in Europe? 70 Global Resource Management: Where to Invest! 24 Industry Issues: CCS – Clean Growth, EOR and Sushi! Trace fossils and ichnofacies can compensate for a lack of preserved sedimentary structures in core and outcrop studies. In the 1930s, Chief geologist at Casoc and Aramco expat, Max Steineke revolutionised hydrocarbon exploration in the Middle East using structure drilling - which led to some of the first discoveries of oil in Saudi Arabia. Dr Nick Riley MBE; Carboniferous Ltd.
Is carbon capture, storage and utilisation (CSS) an essential greenhouse gas reducing technology, and what part can the oil and gas industry play in meeting reduction targets? The challenges ahead for land seismic acquisition. The effect of low frequencies on seismic analysis and interpretation, using passive seismic methodologies. An enjoyable textbook and a must have for every geophysicist. Most successes so far in deep learning have been based on supervised learning. The holy grail, however, is unsupervised learning. Canacol announces that its Pandereta 2 appraisal well in Colombia’s Lower Magdalena Basin VIM-5 Block intersected net gas pay in the Ciénaga de Oro (CDO) Formation. The Policy Perception Index - Where to Invest? A recent global petroleum survey suggests Norway and the UK are still considered attractive places to invest in petroleum exploration & production. With a 100 year history; capturing carbon dioxide now plays a pivotal role in the recovery of hydrocarbons. Join us as we take a look at just one of Oman's many geological wonders: Wadi Nakhr, in the Al Hajar Mountains.